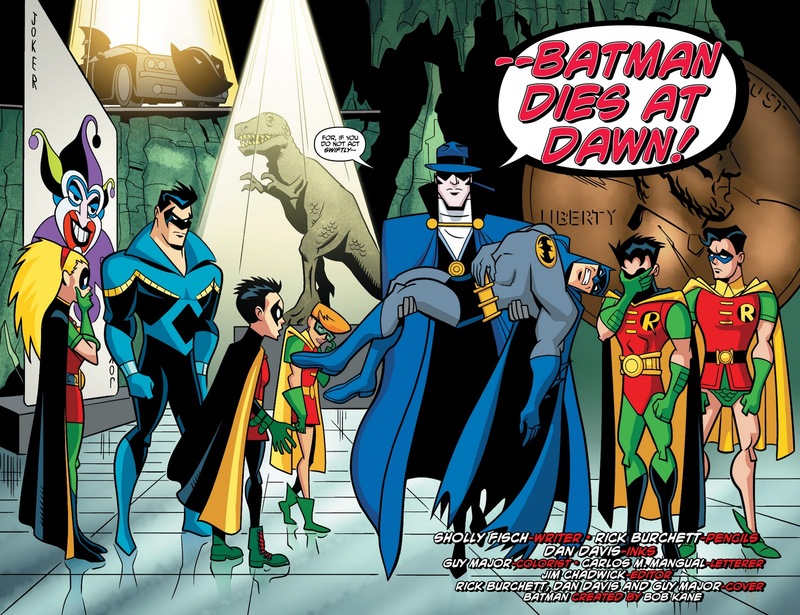 Home » » Batman Dies At Dawn! 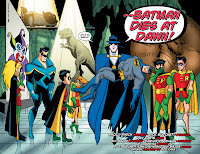 In BATMAN: THE BRAVE AND THE BOLD #13, Batman’s life is hanging on by a thread. 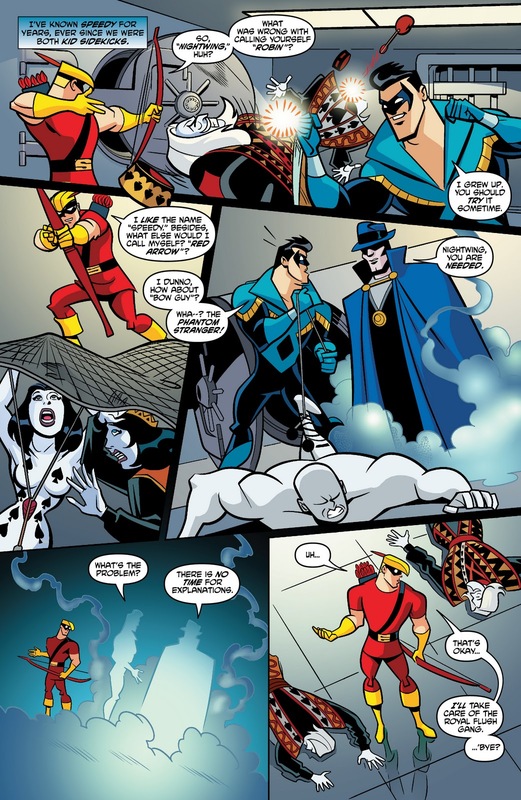 In order to help save him, The Phantom Stranger summons all of the people who have worn the Robin mask in the past, present and in the future. 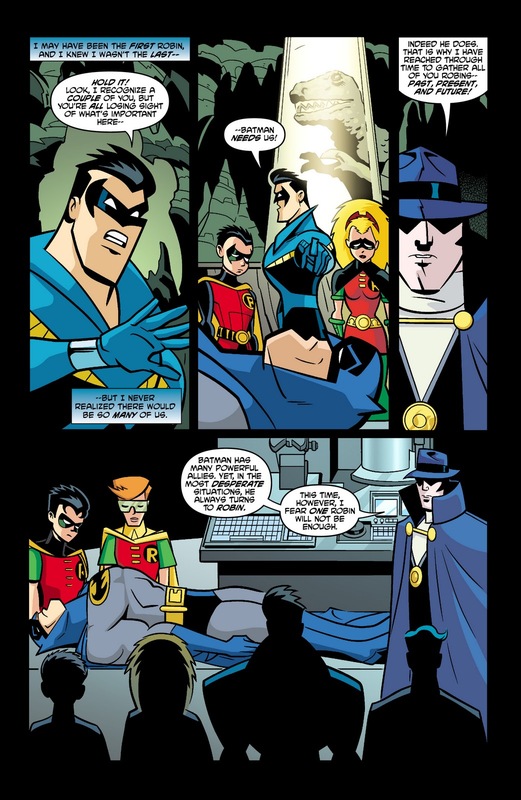 Together, these Robins must restore their mentor back to full health before it is too late. So how do they intend on doing so? By taking him to The Lazarus Pit, which Batman’s enemy Ra’s Al Ghul has used to stay alive for centuries. But can the team of Robins move beyond their personal differences to take on the League of Assassins and save Batman? 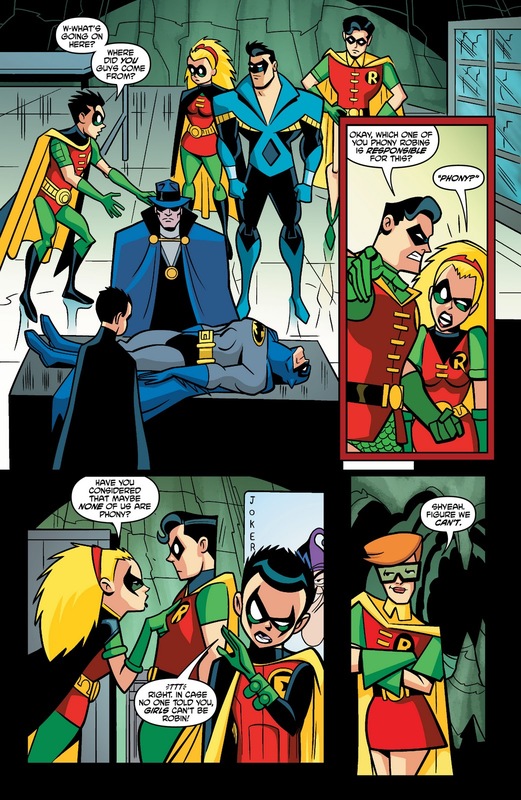 Find out by picking up BATMAN: THE BRAVE AND THE BOLD #13, by Sholly Fisch, Rick Burchett and Dan Davis, in stores tomorrow.